General Biomass Company is a United States-based corporation developing cellulosic technology to convert non-food raw materials to sugars for production of green renewable chemicals, bioplastics, and cellulosic biofuels. General Biomass technology enables production of a wide variety of enzymes for industrial and medical biotech applications. R&D, pilot plant and commercial scale processing. Our enzymes also have medical applications in biosensors, biofuel cells, and antibacterial polymers. 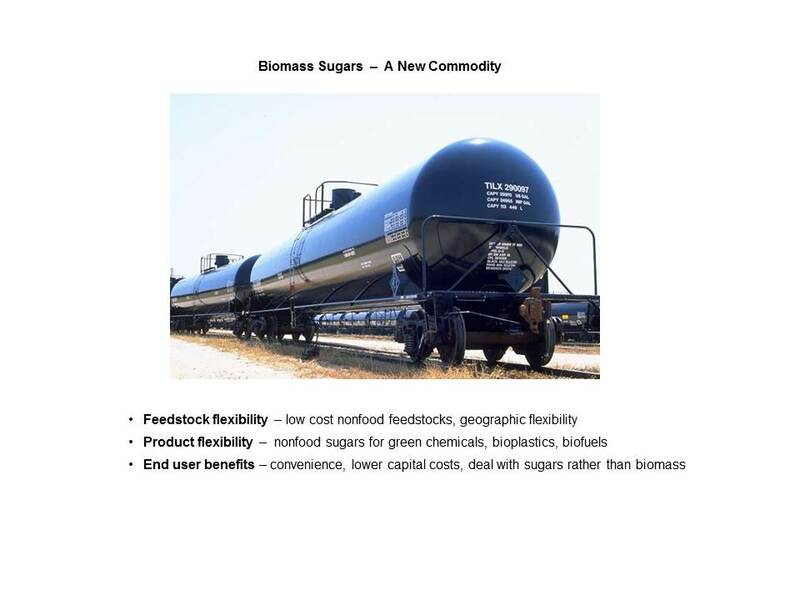 Our next generation enzymes and technology will enable mass production of low cost nonfood biomass sugars as commodities shipped in rail cars to serve the green chemical and bioplastics markets and replace sugar from corn. See our recent interview on Il Bioeconomista.